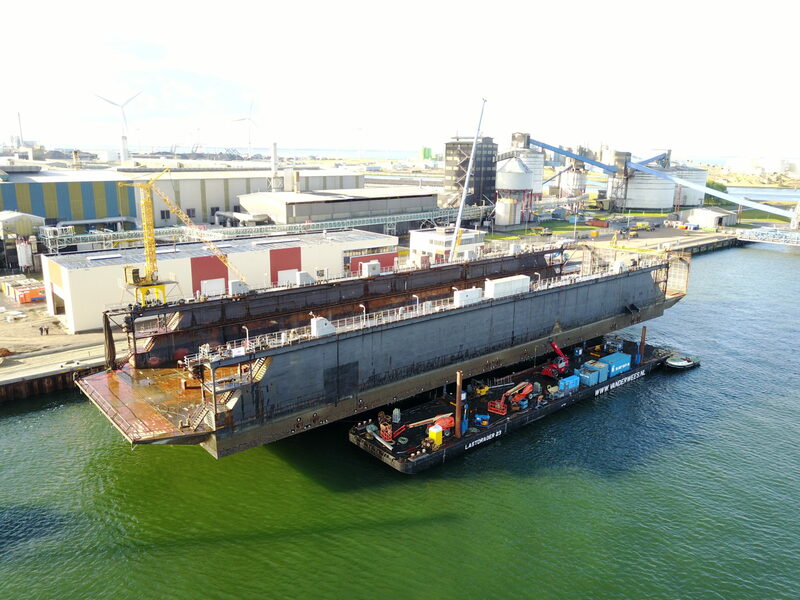 Float-on / Float-off operation of a 2300 mton dry dock. 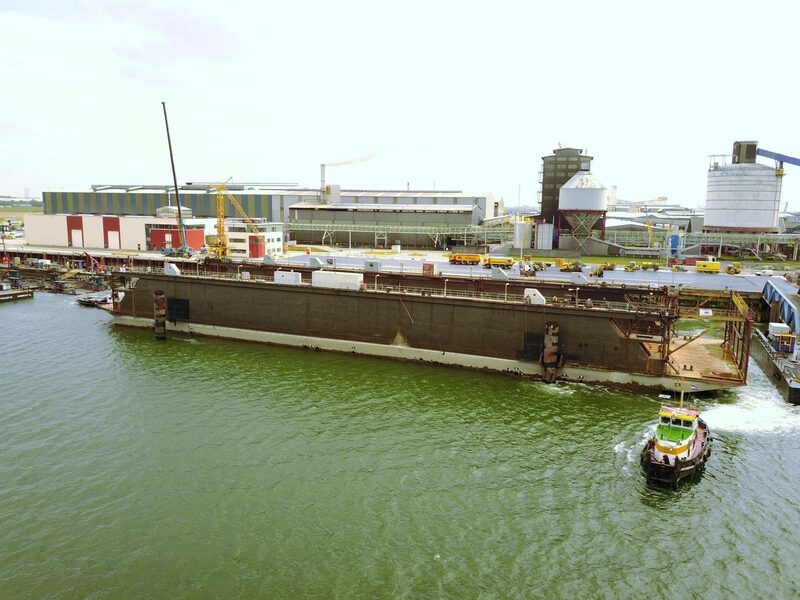 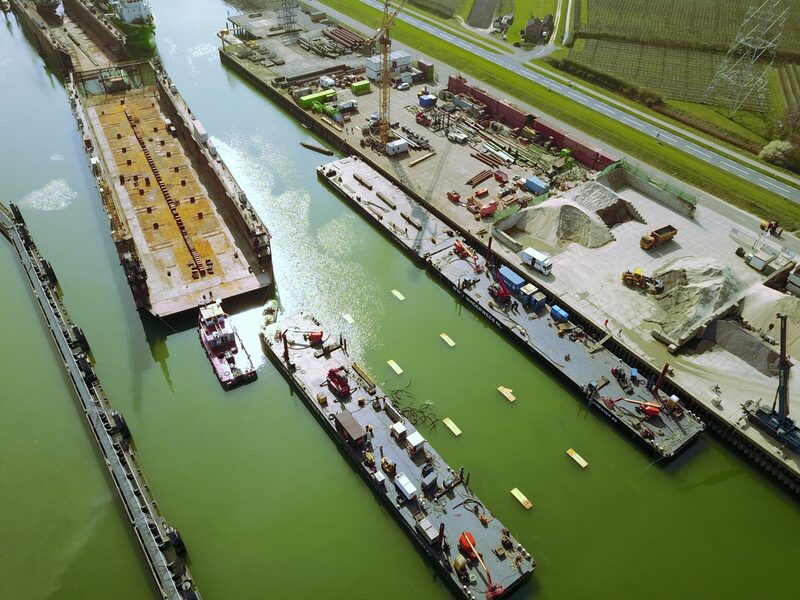 The drydock of Shipyard Reimerswaal was moved from Hansweert to Flushing via inland waterways. 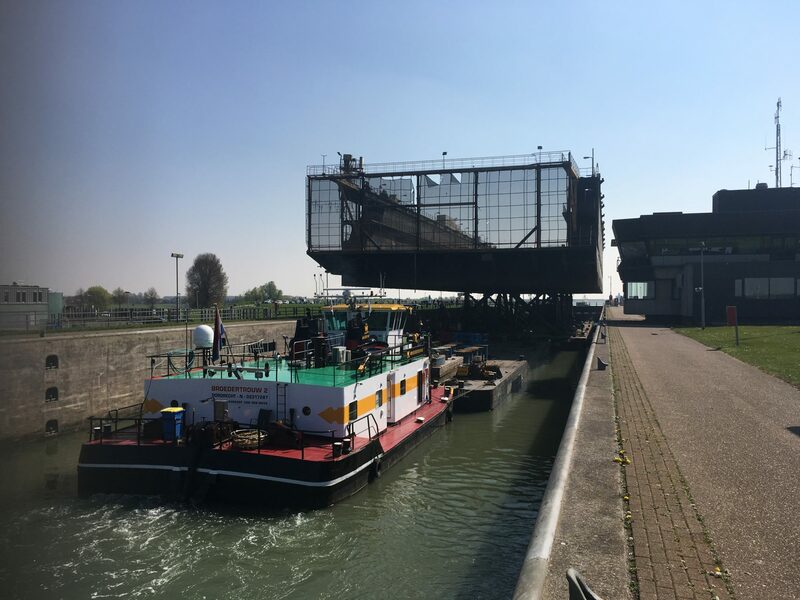 The dock had to pass through a lock which was too narrow for the dock, therefore a narrower submersible pontoon Lastdrager 35 was positioned under the dry dock. 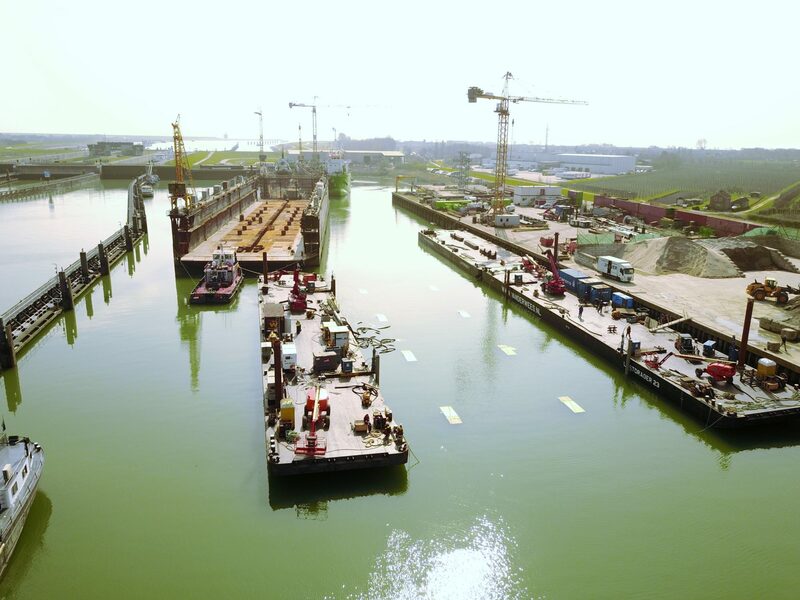 On each side a smaller pontoon was connected with strand jacks to Lastdrager 35. 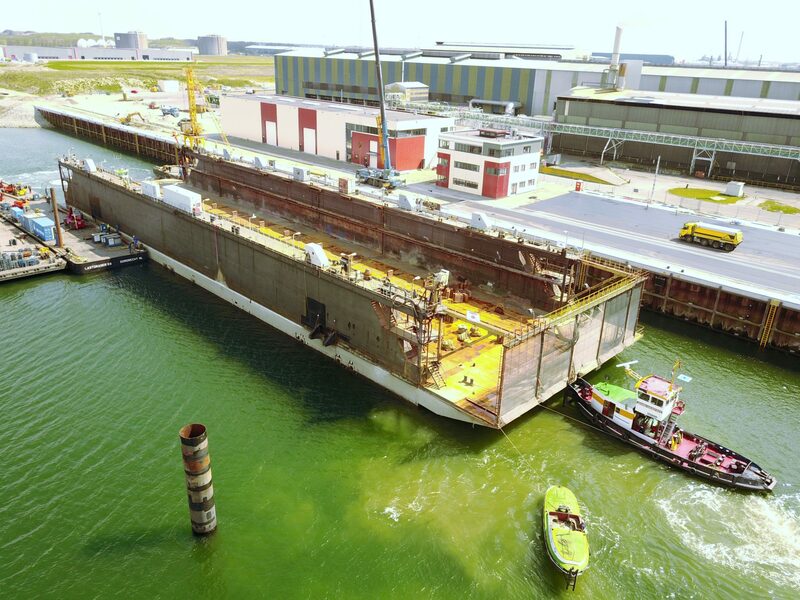 Once the Lastdrager 35 was completely submerged the drydock was floated over and positioned on supports. 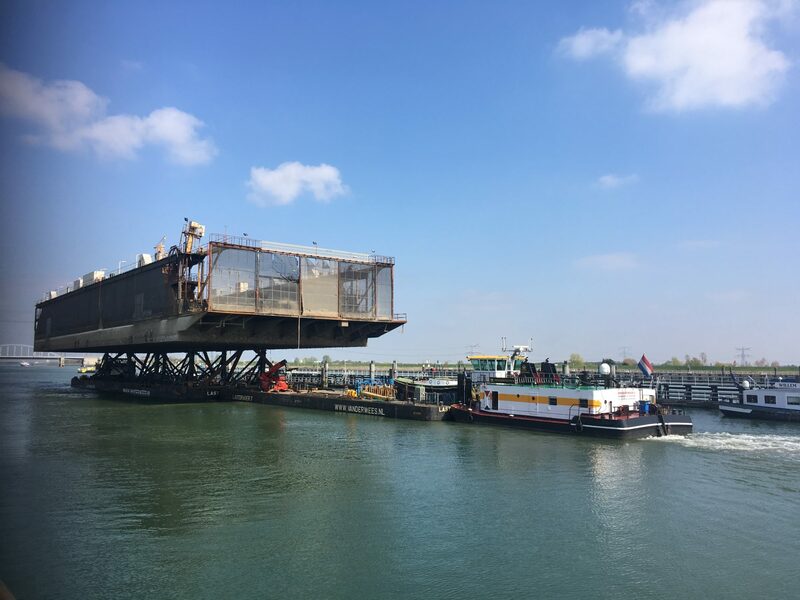 By pumping air into the ballast tanks of the submersible barge, the water was blown out through bottom valves and Lastdrager 35 lifted the dock out of the water. 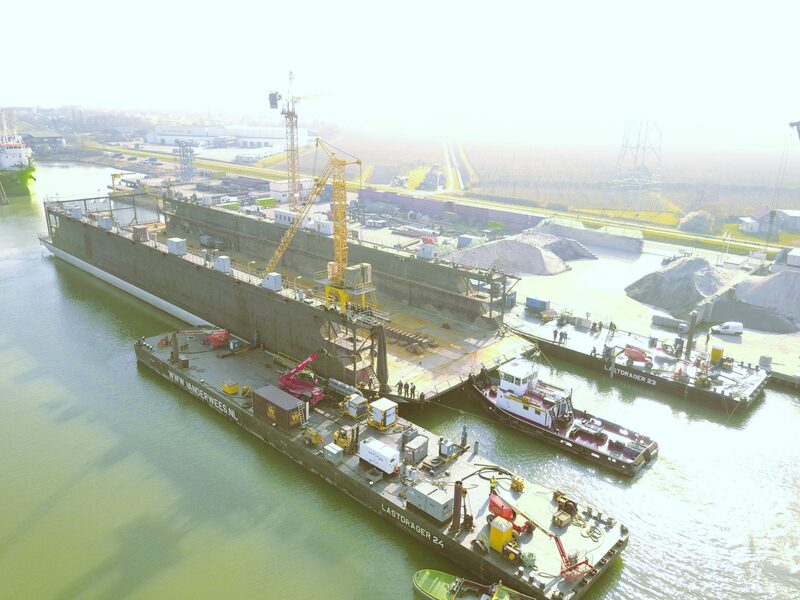 After completing the ballast operation, the drydock was jacked up further to sufficient height to lift it over the lock walls. 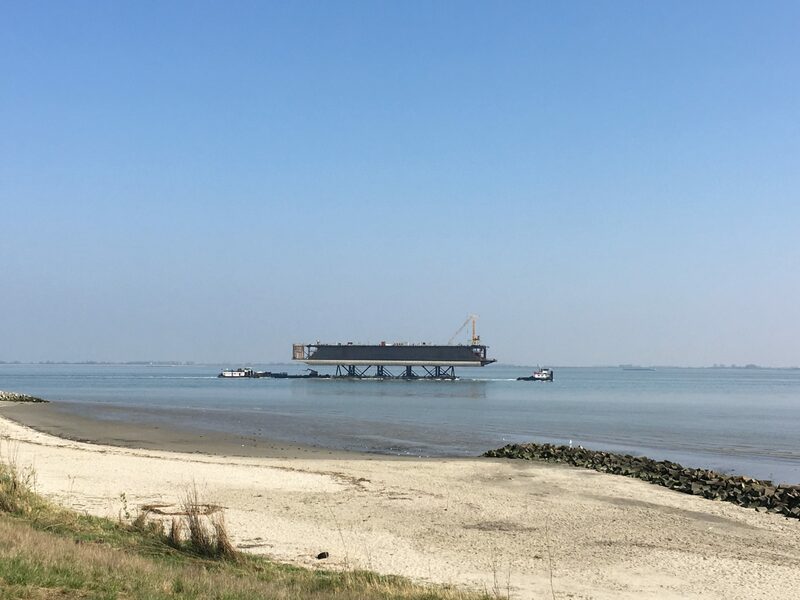 At Flushing the same operation was performed in reverse sequence. Marine Heavy Lift Partners was involved during engineering and during operations. 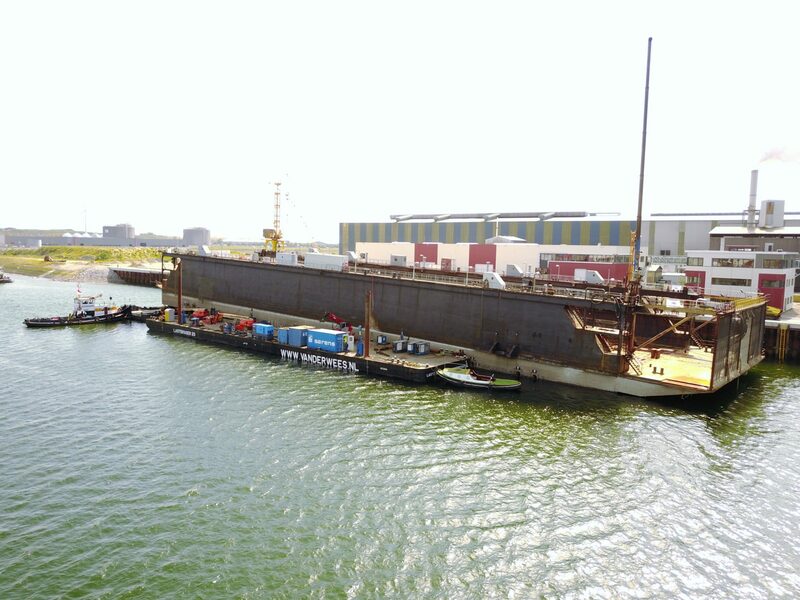 MHLP checked the underdeck strength of Lastdrager 35, designed the steel structures to hold the strand jacks. 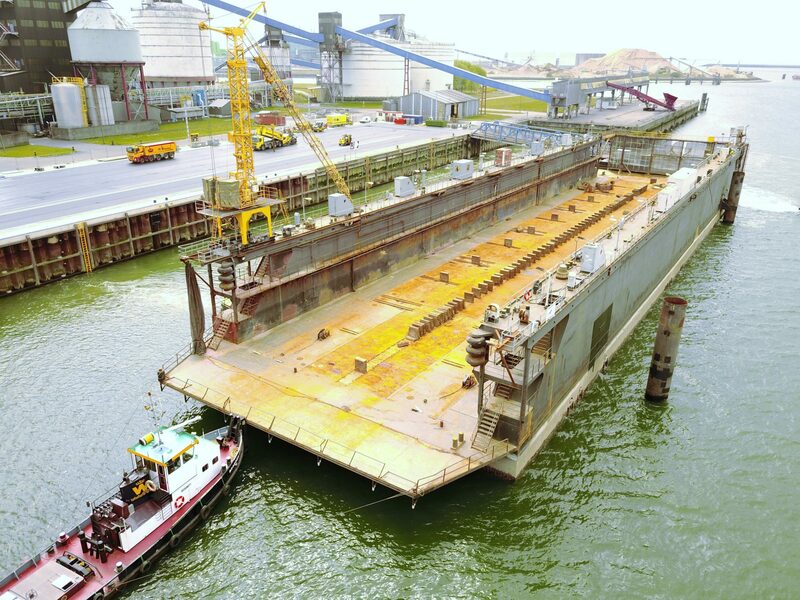 MHLP personnel was assisting on board, and provided a sensor system to monitor the drydock’s list and trim.